When Lee Smith’s best friend, Jack Hughes, sends her a text telling her somebody tried to kill him, she rushes to his side. Jack is certain someone deliberately ran him over. Even worse, it happened at Berkshire, the prestigious school which cast a shadow over Lee’s childhood. As a member of the Board, Jack had been investigating the mysterious death of a seventeen year old girl who appeared to have jumped to her death from Berkshire’s towers. And now he wants Lee to help. Is someone targeting Jack? Could the girl have been pushed? And can Lee overcome the demons of her past to help Jack solve this chilling mystery? 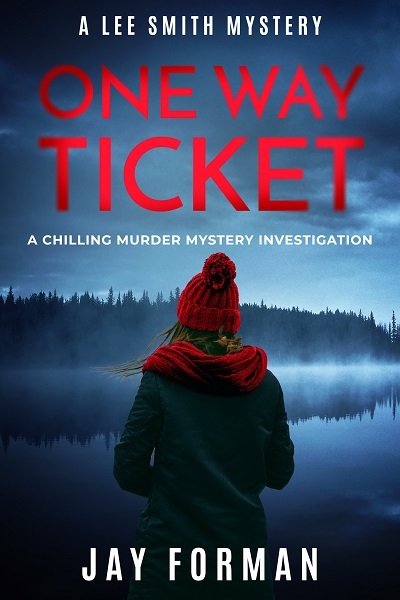 One Way Ticket is the first private investigation crime novel in the Lee Smith mystery series by Jay Forman.